As I have often said, there are a great many advantages to being part of a “connectional” church such as the Presbyterian Church in the United States of America. Sadly, we often don’t think about this dimension of our church experience except when we read headlines about controversial decisions made by our General Assembly, which meets every other summer. If we can put that thought aside for a moment, I’d like to share some of the real positives we gain from our relationship to the PCUSA nationally and regionally. This is a big topic, and I will spread my comments over the next several newsletters. During our recent stewardship drive, we shared information about the “per capita” donation (currently about $37 for each member) that we are obligated to send to fund the work of the church regionally and nationally. We learned that most of this money is utilized by the Presbytery of Long Island to support the life and work of congregations in our area. Presbytery is the body that maintains the standards for education, skills and conduct for our professional clergy. It also oversees a variety of educational and training resources for church members in things like how to be an elder, how to serve as a deacon, how to manage finances, and so forth. Presbytery has a variety of ways it can help local churches when they encounter challenges and difficulties. It also organizes support for many different forms of local mission and manages relations with other denominations and faith groups. The Presbytery board of trustees exercises stewardship of Presbytery’s funds and interacts with local congregations in matters of property and financial management. Presbytery is composed of all active PCUSA clergy on Long Island and lay representatives of all congregations. The Presbytery meets five or six times a year to conduct business. The Massapequa session appoints a person as “commissioner” or representative for each meeting of presbytery. Clerk Joan Tischner has been a frequent representative. Levittown session elects a representative each year, and Maria Studer is the current commissioner with Marilyn Rodahan serving as alternate. Presbytery meetings are held in different churches, so sooner or later it meets near us. The next meeting of Presbytery will take place on Tuesday, April 17 at Bellmore Presbyterian Church, beginning at 12:30 p.m. and will last several hours. If you would like to visit Presbytery and witness it at work, please feel free to do so. If you let me know your plans, I will arrange to introduce you, so the commissioners are aware of your presence and interest. I should add that not all Presbytery meetings are held on week days. It meets, frequently on a Saturday, to allow for greater participation from lay Presbyterians. Beyond our local area, we are connected with the Synod of the Northeast, which keeps offices in upstate New York and covers New England and the greater New York area. Then, of course, we are part of the General Assembly which includes representation from all parts of the United States. Next month, I will give you a report on the activities of Synod, and then, as we move toward the meeting of General Assembly in St. Louis in June, I will brief you on the activities of the national church and what important issues will be brought up at GA this year. 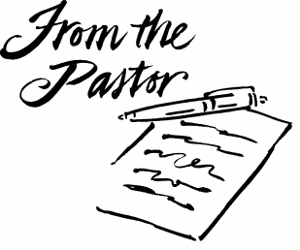 This entry was posted on April 3, 2018, in Pastor's Posts and tagged April 2018, congregants, members, Presbyterian, Reverend Dr. Louis Knowles, The Faith Connection, The First Presbyterian Church of Massapequa, united, United Congregations. Easter is early this year, which means that Ash Wednesday is just around the corner (February 14, 7 p.m. Massapequa). We are planning a confirmation class for this year, which will begin to meet during Lent. I am planning a series of Lenten sermons around the Apostles’ Creed, and I am asking the confirmands to attend church services during Lent, to hear and think about these sermons. At the same time, I want these sermons to be an opportunity for all church members, not just the confirmands, to return to the roots of their faith, to be reminded of the core beliefs that give us our identity as followers of Christ. In each case, we will also talk about how the Presbyterian Church looks at the elements of the Creed, and how our point of view is the same as or different from that of other denominations. This is a good time to re-examine the faith that brings us together, as we are in the process of re-organizing our life together to fashion one congregation out of two, so that Presbyterian-style Christianity can continue to witness in this area. If you have not already done so, please fill out and return the worship location survey, which is printed on pink paper. You can mail it in or put it in the basket in the narthex, or hand it to me. You can also provide an e-mail response. On Sunday, February18 following the service at Levittown there will be an open discussion session on the state of repair of our two church campuses. A number of people have asked for more information on this subject, and those of us most knowledgeable about the buildings are expected to be there to answer questions. This entry was posted on January 30, 2018, in Pastor's Posts and tagged congregants, congregation, members, pastor lou, pastor's post, Presbyterian Church, Reverend Dr. Louis Knowles, the first presbyterian church of levittown ny, The Presbyterian Community Church of Massapequa, United Congregations. Join us at GNO at Zim Zari Restaurant 4964 Merrick Road, Massapequa Park, NY. Bring a Friend. The sign up sheet is in the narthex. This entry was posted on October 13, 2016, in Upcoming Events and tagged bring a friend, congregants, fellowship, girls night out, gno, good food, members, presbyterian women, The First Presbyterian Church Of Levittown, Zim Zari. 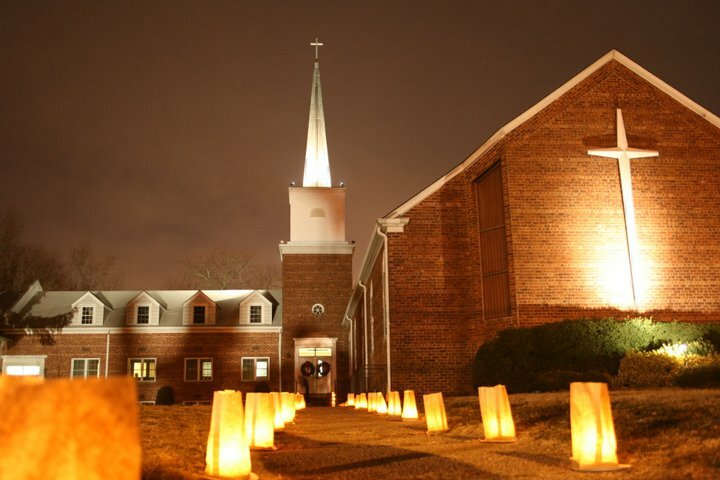 As we look forward to the holidays, the traditional time of generosity and openhandedness, I hope the members of Levittown church will be especially thoughtful in finding ways to share the peace and joy of the season with your new companions on the pilgrim way from Massapequa Church. Advent is the time we celebrate God breaking into history and into our lives in order to begin a wonderful new work in us. So in the spirit of Advent, you should be looking forward to transforming old ways of doing things into new rituals of friendship and new program partnerships. Between now and Thanksgiving, there are yet four opportunities for small group meetings with me. These “ice cream socials” are listed elsewhere in this issue. They are open to people from both congregations, and I hope they will afford an opportunity to meet not just me but some of your new partners from Massapequa Church. Please sign up for one. During Advent, I will offer a three-session Bible study series on the different Christmas stories as found in the Gospels of Matthew and Luke and the “non-Christmas” stories of Mark and John. In the spirit of Christian brothers and sisters coming together, we will see how the two stories of Matthew and Luke each have their own message, and how they have been joined over the centuries by the church into a powerful combined narrative. This synergistic combining of two Biblical traditions may provide insights for us as we begin the process of weaving together the traditions of our two congregations. Each study session will also provide time to pray together. I am still deciding about when to do the Advent Bible studies: daytime? Evening? Day of the week? Please let me know your personal preferences. If necessary, we will conduct day and evening repeat sessions. This entry was posted on October 29, 2015, in Pastor's Posts and tagged congregants, faith, friends, from the pastor, jesus christ, Leader, Meet God & Friends Here, members, Pastor, pastor's post, The First Presbyterian Church Of Levittown, word of the pastor. We are decorating the Church for Christmas following Worship Sunday, November 22nd. at 10am. Everyone is invited to help us decorate the church for Christmas. Advent begins the following Sunday. Stay for a while, get into the spirit. Many hands make for easier work. Hope to see you there. For more information contact Maria Studer. This entry was posted on October 29, 2015, in Upcoming Events and tagged christmas, christmas joy, christmas lights, congregants, decorations, faith, following, holidays, jesus christ, lights, members, sanctuary. Times of Services to be announced. This entry was posted on December 11, 2014, in Upcoming Events and tagged congregants, deacons, faith, fellowship, holy week services, jesus christ, join ministry, prayer, Presbyterian, service, The First Presbyterian Church Of Levittown, worship, worship service.